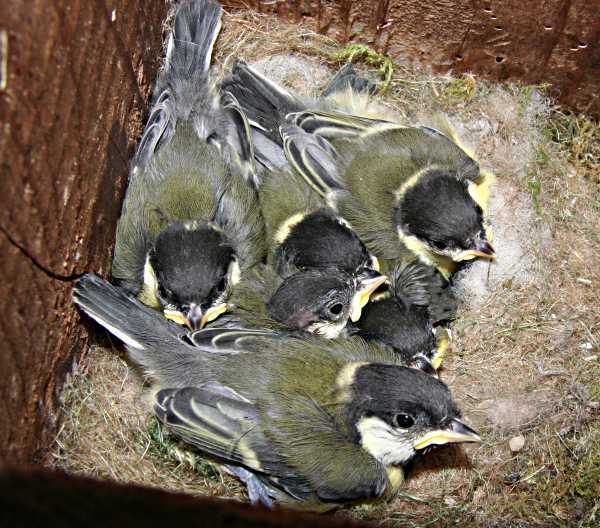 I'd hardly noticed the adult birds paying much attention to the nestbox, so was surprised to hear twittering from inside. Six hungry mouths thinking that I might have brought them something edible. I wonder when they hatched - I wouldn't guess too many days earlier? Sorry about the focus. I didn't want to risk disturbing them by taking more shots. 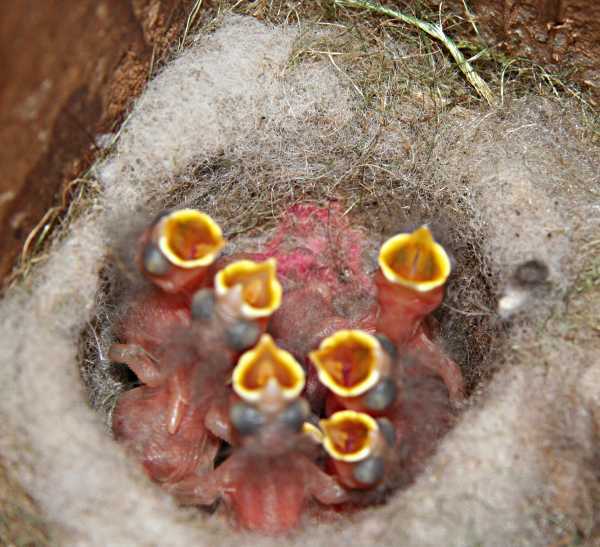 A mere 13 days later, and they look almost ready to leave the nest. And there are still six of them if you look carefully. The weather turned cold and wet, and they stayed in the nestbox for another 4 days after the previous picture, but this morning they had gone. 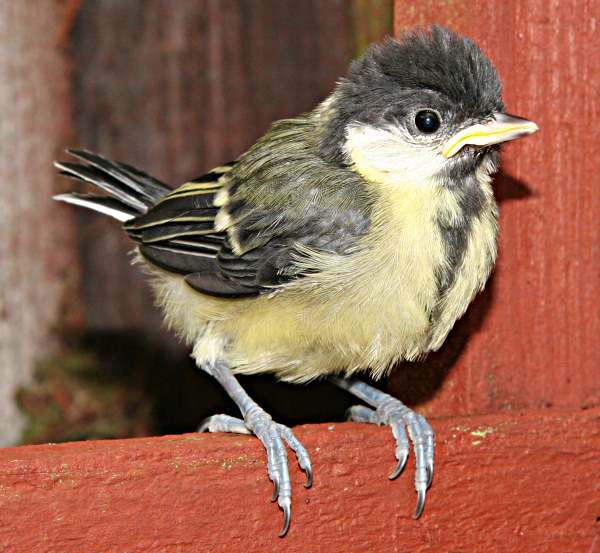 This youngster was in the garden for several hours. Of course I don't know whether it was one of the same family or not. I didn't see it being fed, so I hope either that it was able to fend for itself, or the parent birds found it again.